This mouthguard case protects your SISU mouthguard when it’s not at work protecting your teeth. Lightweight, durable, and Made in the USA. 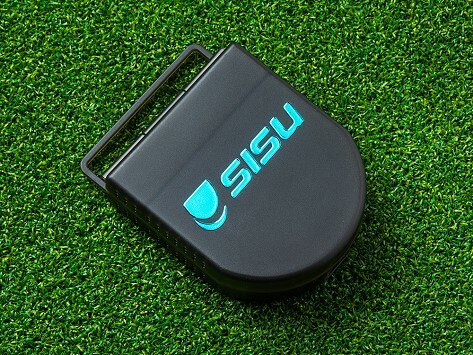 Dimensions: 6.5" x 4.5" x 1"
The idea to create the SISU mouthguard was born on the operating table. Maker Jan Akervall wanted to help protect the teeth of his patients. As an otolaryngology surgeon, he knew their teeth were often exposed to potential damage during procedures. Back at home, Dr. Akervall’s kids were complaining about the mouthguards they had to wear while playing sports. He and his wife Sassa realized the protection he envisioned for his patients’ teeth was also the perfect fit for sports-playing kids and grown-ups. His SISU mouthguards are a fresh new approach to protecting teeth. The bulk has been streamlined out without sacrificing strength, thanks to an impact-absorbing perforated surface that won’t collapse, but instead redirects impact away from teeth. The mouthguard is lightweight, breathable, and so comfortable, many athletes forget they have one in. (Really!) It’s up to 50% thinner than others, so you can easily drink and talk with one in. The best part might be that with SISU, you get a truly custom fit. You can mold it yourself at home and it is remoldable up to 20 times.